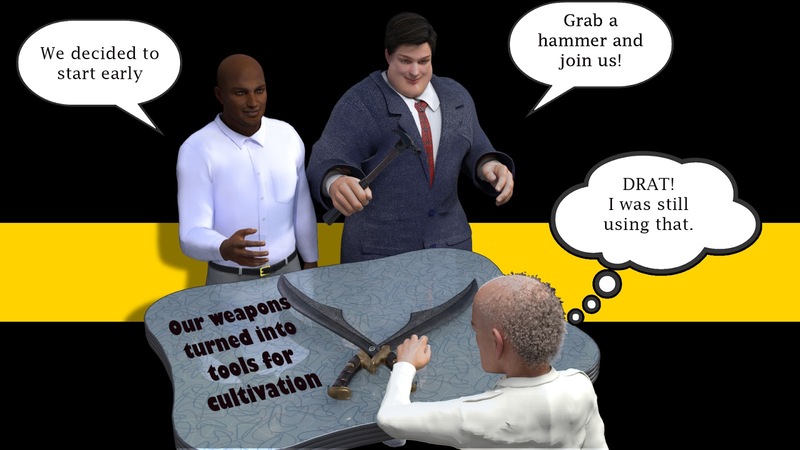 churchtoons, cartoon bible messages from church: Are you ready to turn your weapons into tools? Are you ready to turn your weapons into tools? In Isaiah 2:4, God gives us a glimpse into the kind of kingdom He is setting up. In this famous passage, warriors are turning their weapons into tools for cultivating crops. What would happen if the church began to turn the weapons of our words and thoughts into tools for cultivating nourishment?